The local election results came in too late for the morning papers, but by press time the trend was already becoming clear – a rise in support for local parties and a rise in support for the left wing greens of GroenLinks. The big national parties have been dealt a blow by the ‘lokalo’s’ and they have reason to be worried, the Volkskrant writes. ‘Local councils have been playing a vital recruitment role in the VVD, CDA, PvdA, D66 and ChristenUnie for years. Half of the current MPs have a background in local politics and of the members of the cabinet 60% has experience as alderman or councillor,’ the paper points out. The joint membership of the national parties has shrunk some 20%, from 225,000 to 173,000 and the number of local politicians belonging to those parties is shrinking likewise. And that means the pool of potential national politicians is becoming smaller too, the Volkskrant says. Elsevier’s political commentator Carla Joosten thinks the rise of the local parties is ‘not something to be sad about’ and nor is the ‘fragmentation of the local political landscape’. According to the paper GroenLinks did well not to become part of the right-wing cabinet last year and has ‘obviously touched a chord’ and pinched seats from the PvdA (which did form an alliance with the right), SP and D66. 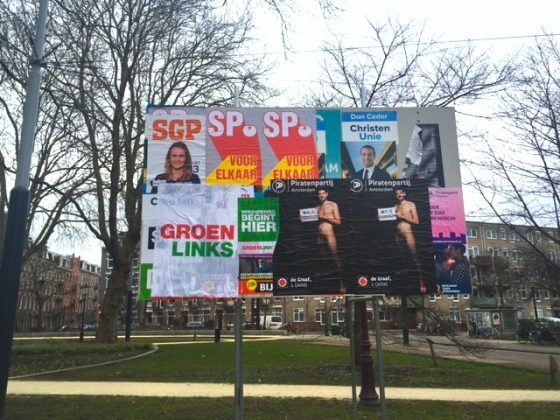 ‘GroenLinks is ‘little links’ no longer’, the paper writes. The NRC‘s Tom-Jan Meeus says the local election results are ‘a lesson in humility for all professional politicians and those who think they know something about politics’. The ‘new right’ described by Meeus as less radical and willing to take government responsibility, is leaving the PVV behind he points out. ‘But it will have to draw a lesson from the left in the 1960s and 1970s when it squandered its chances through infighting and became a pawn for the parties in the middle,’ he says. In the same paper Joris Luyendijk says the fragmentation of society is mirrored by the election outcome but not by the Dutch news media. ‘So how does a public broadcaster react when three parties for Dutch citizens with a migration background triumph in the elections?,’ he asks. The answer according to Luyendijk, who is referring to Wednesday’s broadcast on the results, is: not at all. The broadcaster is dominated by white, highly skilled people as are the papers whose main focus was on the changing power dynamics between D66 and GroenLinks, he says. ‘Indirectly and undoubtedly completely inadvertently this broadcast gave the best explanation of why Denk, Nida and Bij1 have been succesfull,’ Luyendijk said.